Back in July of 2009, Google Australia launched Google Real Estate Search. Search Engine Land has done a great job covering Google's move into real estate search. I was researching a few weeks ago and found little about how to rank in these results. I thought I'd share some of the things I found. 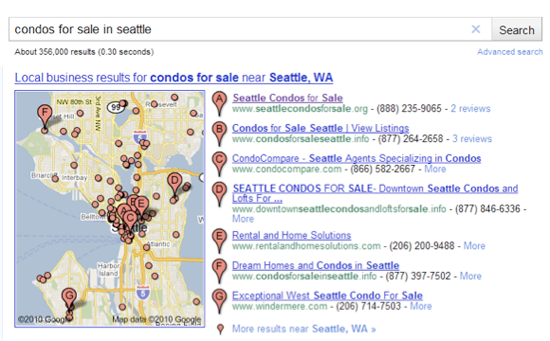 Generally, Google will trigger a local map result for queries with real estate intent. 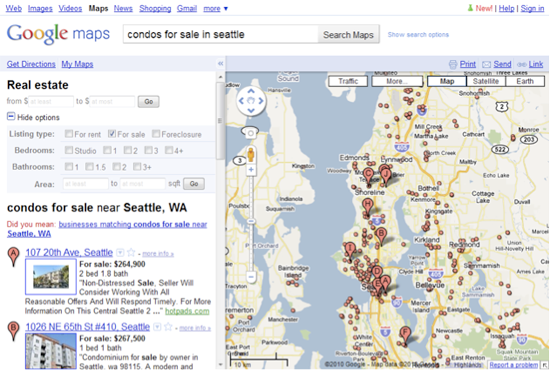 Clicking on the map will take you into Google real estate search. You can also find real estate listings by going here. That’s pretty much the basic functionality. Once you click on a listing, you get a real estate Places Page. A real estate listing is a simplified version of a Places Page for a business, but it helps give some insight on the items to which Google is paying attention. Google appears to pick one site as the best image source (quantity and quality) and take images from that source. They credit them all to this one site. It doesn’t seem to aggregate images from multiple sources. The Places Page only shows three listings, but a more details link may appear to show additional listings. This section shows citations from sites with additional property information. Preference seems to be given to well-known domains such as Zillow, Estately, Redfin, and Trulia. This isn’t perfect, but the results under “more about this property” bold address, city, MLS number, and the word sale. They don’t bold the last part of the street address. I think this is to deal with street abbreviations. Google has done a good job covering the basics. I recommend reading the Google Maps help page for real estate professionals. I recommend taking hints from the information Google is giving you. Strive for information completeness and accuracy. Give the required information, but pay attention to the recommended and optional fields. Follow standard conventions and names. Don’t confuse Google. 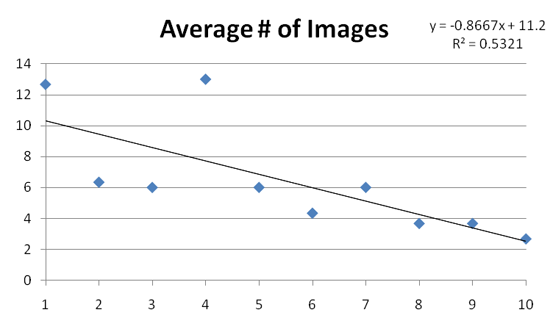 The number of images in a listing appears to have some correlation with higher rankings. 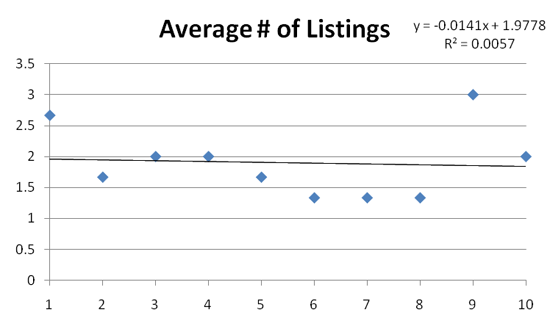 The number of listings shown didn’t seem to have much impact on rankings. Most results have 1 or 2 listings showing on their Place Page. 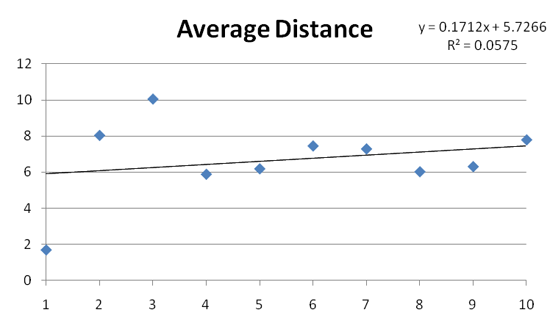 I used this nifty tool to determine the listing's distance relative to the city centre. No big correlation here, but generally, I’d say you need to be in the city or area to appear for a result. I’ve seen some results where this isn’t the case, but they used the area name in the listings description. Except for when an area is specified, such as Capitol Hill, Seattle, WA, I speculate there might be some type of query deserves diversity (QDD) algorithm. Google Real Estate Place Pages don’t make counting citations easy. They only show 5 “citations” of the listing on the Place Page. I noticed these listings appear to be from a search including MLS number, address, city, and the word sale. I used this search query to check for the number of results found for each listing. 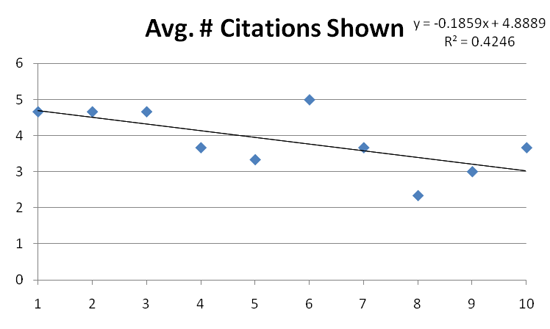 The number of citations seems to have some correlation with rankings. 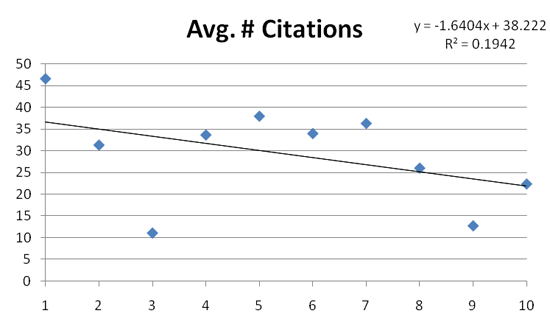 This graph and the next one are a vague attempt to measure the quality of citations. I noticed that Google would often show some of the most popular real estate sites as the citations. Having enough quality citations to fill up these five spots appears to be correlated with rankings. This led me to check one more thing, which is the next graph. 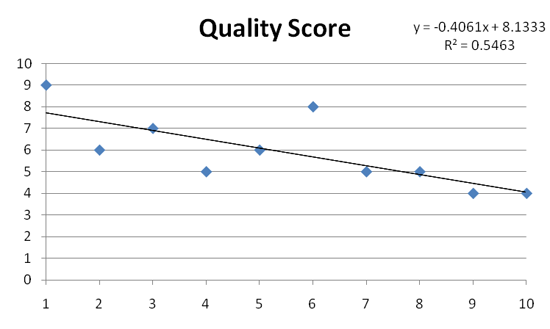 I did a quick “quality” check to determine if a citation was shown from one of the top real estate sites. I summed up the number of “positives” for all listings at each rank. 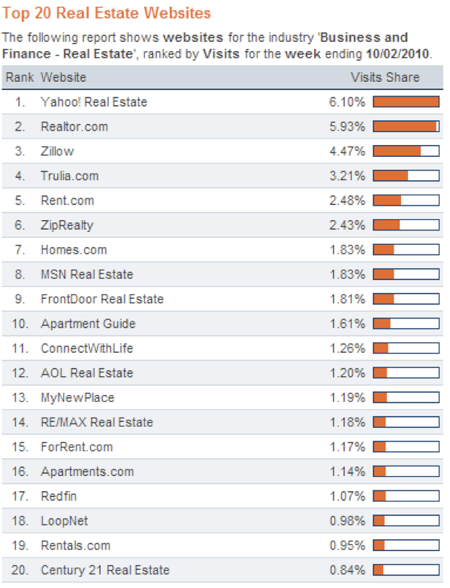 Getting listed in one of these top real estate sites seems to be correlated with rankings. This isn’t the full list of potential sites. I recommend checking out the top 20 real estate sites. Create a listing on your site, and make sure it’s accessible. Create a robust listing. Include as many attributes as possible. Have several high quality images of your property. Use this tactic with my citation search mentioned in this post. Go for high quality citations. Strive for complete, robust, and consistent information. Include keywords in listing description. The algorithms are more complicated than this, and I’m still unsure about some of the listings, but I hope this gives some insight into performing better in Google Real Estate Search results. These are not the only ranking factors, and I’ve seen some interesting cases. I’d love to see any other analysis from other SEOs who have looked in real estate rankings.